In “Marketing a Directory” we talked about the value of maintaining a strong, narrow focus when it comes to the content of your site. Often times, this becomes one of the best selling points you can provide your potential clients. A narrow focus means a narrow audience and nearly all advertisers want nothing more than to know your visitors are their target audience. The better you are able to demonstrate that, the easier selling them on sponsorships will be. Missouri. Many businesses or establishments in Branson recognize that your audience is composed of these types of visitors, and will likely agree that you are reaching their target audience. There are other times, however, that advertisers want more concrete information on who is visiting your site. Google Analytics, a free service that offers detailed reporting on your web traffic, will show where your visitors are located (geographically), what kind of network they are on, how they arrive at your site, words they’re searching for when they found your site, and much more. This is extremely powerful and concrete data from a third party that will give your advertisers confi dence that they’re reaching the right audience through your solution. The best way to compile the most accurate data on your audience demographics is through reader/visitor surveys. There are several survey tools that can be embedded through your website, or free survey applications like surveymonkey.com. Offer free advertising, or a drawing for a free gift certificate to incentivize your visitors to complete the questionnaire. It’s safe to say that in one way or another, there is another website, or publication that has a focus and/or audience, or section of an audience that is very similar to what you have, or may develop. Whether it’s a local paper, the New York Times or a similar niche directory, your prospective advertisers have advertised, or may be looking to advertise in another media outlet. Being able to highlight how you are different from other sites or publications will be the key to winning business. Many businesses have limited budgets and can only afford to advertise in one or two sites or publications, so having a game plan ready when you’re going up against a competitor will be crucial. It sounds like a no-brainer, but it’s easy to get defensive when you know who you are going up against. If one of your prospects is talking about advertising in a competitor, ABC.com, start out with kind words by saying “It’s good that you’re doing your due diligence and seeing what publications would best serve your advertising need. I’m very familiar with ABC.com. It’s a great website/publication, I take a look at it every now and then. From what I’ve seen, here’s how were different.” Understand what they’re looking for that you might offer. “So, you said you’re thinking about ABC.com, and you mentioned you like XYZ about their site. As an advertiser, what do you wish they had that they currently do not”. In some cases, you may go up against a print directory or publication. With the development of social and online media, savvy advertisers are utilizing outlets that can show them an affective ROI. Unless someone mentions seeing their ad in XYZ magazine or ABC Newspaper, it’s difficult for advertisers to know how affective their message was. In print publications, it’s impossible to know how many people saw your ad (in online media, these are called impressions) or furthermore, how much business you gained because of the ad you placed (ROI). Online tracking methods like those embedded in eDirectory and Google Analytics empower you, as a publisher, to let your users know how many impressions their ad received, how many people clicked on the ad, how much traffic you pushed to their website and in some cases, how much business they gained from their sponsorship. All of these numbers can help show your clients how affective your site is to earning more business.This is something you should continuously go back to if you are competing for business against print publications. In “Marketing your Directory” we talked about the value of establishing a niche, targeted publication. 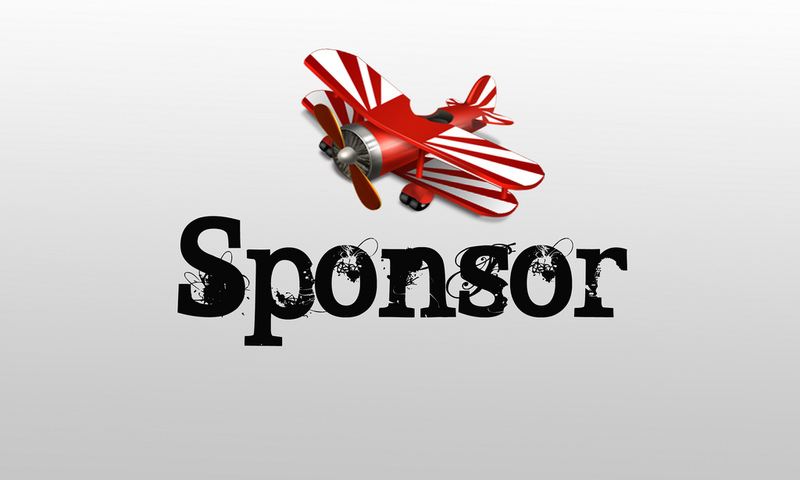 Not only does it make developing and marketing your website much easier, but it can also make selling sponsorship opportunities (ads) much easier too. Elicit the value of something with a focus that is much more in line with that of their business, and not something broad where their message can get lost, or perhaps, put in front of the wrong audience entirely. If you are the owner of “FindaNephralogist.com” and you are trying to sell ad space to Dr. Zimmerman, he may indicate he’s already advertising on other sites such as doctordirectory.com. It’s important to let him know that your directory attracts his target audience to an exact match; people looking for a Nephralogist in his region. On DoctorDirectory, his ad gets lost in the shuffle of someone searching for hundreds of other types of doctors. Perhaps the most overused cliché in the sales world, but it holds true. I’m sure you’ve heard a sales person run through a glossary of terms like “Funnels,” “Pipelines,” “Prospecting,” and “Qualifying.” Many of these terms do have a great deal of value to the revenue you bring in at the end of the day. Chances are good on your first call or email, you won’t make a sale. Perhaps in the first ten or twenty, you may not either, but in sales, the key is casting a wide net, and making your follow-ups personalized. If you are developing a local search guide, utilize resources that your local chamber of commerce has such as a database of local businesses and their contact information. Alternatively you can buy lists of the specific market segments you are targeting and send out narrow-casted, targeted messages to dozens or hundreds of contacts at a time using e-mail marketing software like Constant Contact or iContact. Be sure to personalize this message and reference what you know about their business, or where they’ve advertised in the past. Hand out flyers or brochures to businesses in your area, or utilize local coupon/advertising services to let people know about your website and the opportunities in conjunction with it. Remember, the more people you contact, the more sales you will make. This seems incredibly intuitive but many site owners get frustrated easily and throw in the towel early. When you have something powerful like a database with e-mail addresses or slick flyers, it’s easy to try to keep casting a wide net and hope you’ll bring in enough business to keep your site sustainable, or profi table. Be very careful in the way you use mass marketing approaches, they are best used only a 4-6 times a year and are best accompanied with special promotions or offers. Chances are good at this point, they did receive the email and know who you are, so the sales conversations to follow become much easier, and less awkward. In each of these calls, write down as much feedback as you can, this will help better shape your directory and its content moving forward. “Marketing Your Directory” and “Selling Your Directory” will give you the foundation to both honing the focus of your site, as well as preparing you for right approach in selling sponsorship opportunities. Always remember, keep your ears open when you speak to visitors of your site, or advertisers. Often times they provide the best feedback to help your site mature and improve.